These stamps are perforated with a hand perforation machine designed to produce a standard size high quality "comb"-type perforation. 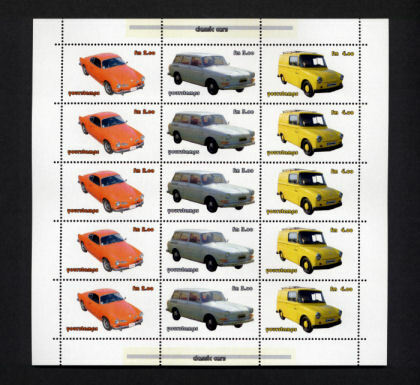 Recommended in all cases where the stamp image to be printed has a width to height ratio of about 2:1 (more exactly, 1.8 : 1). All combinations of the above options are possible.